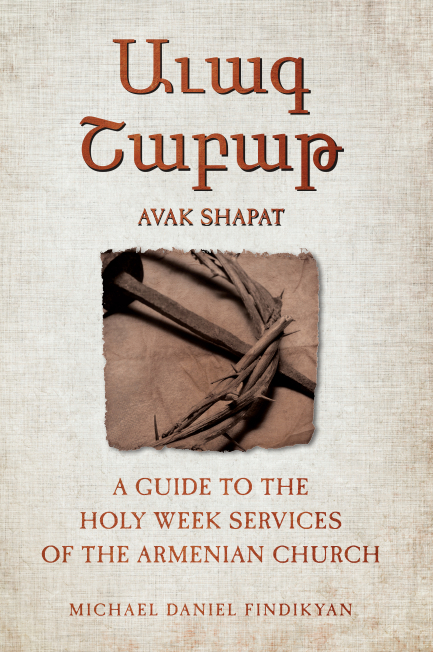 The book is entitled, Աւագ Շաբաթ Avak Shapat: A Guide to the Holy Week Services of the Armenian Church. The book is being published by the Zohrab Information Center. Conceived as a textbook for clergy, seminarians, deacons, choir members and others charged with conducting the Holy Week services, the guide will be of use to anyone interested in the worship of the Armenian Church, from faithful practitioners to students and scholars of other traditions. The liturgical tradition of the Armenian Apostolic Orthodox Church is one of the oldest and most magnificent in all of Christendom. The center of gravity of the Armenian Church’s liturgical year is undoubtedly Holy Week, the eight days preceding Easter. At no other time of the year is there such a concentration of poignant, ritually lavish, and theologically rich services in such a short period of time. Yet with that exuberance comes complexity. The instructions for conducting these services are found in two books published centuries ago in Classical Armenian, which describe the services in a highly technical, abbreviated manner. As a result, conducting the Holy Week ceremonies properly, prayerfully and beautifully can be a challenge even for experienced clergy. With the meticulous eye of a teacher and scholar of Christian liturgy, Fr. Findikyan guides the reader through each Holy Week service, presenting the sequence of prayers, hymns, Scripture readings and rituals, and describing them in detail. The book also contains valuable glossaries of liturgical terms in Armenian and English, as well as separate indexes of liturgical and biblical references. As such, the book serves as a useful reference work on the worship tradition of the Armenian Church as a whole. 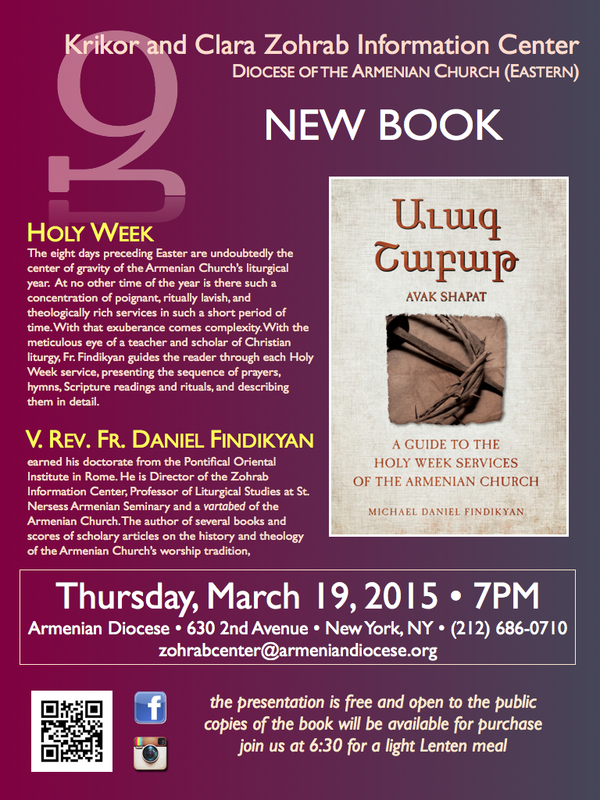 The March 19 presentation will take place in the Guild Hall of the Armenian Diocese, 630 2nd Avenue, New York. As he presents his book, Fr. Findikyan will lead a worshipper’s tour through the sequence and meaning of Holy Week in the Armenian Church, emphasizing the meaning of Jesus’ final days for us today. At the conclusion of his talk, copies of the new book will be available for sale. The presentation is free and open to the public. A light Lenten meal will be served beginning at 6:30PM. For further information contact the Zohrab Center at zohrabcenter@armeniandiocese.org or (212) 686-0710. CLICK HERE to download a color flyer. V. Rev. Fr. (Michael) Daniel Findikyan is a priest and vartabed of the Armenian Church. He has served as Director of the ZIC for two years. 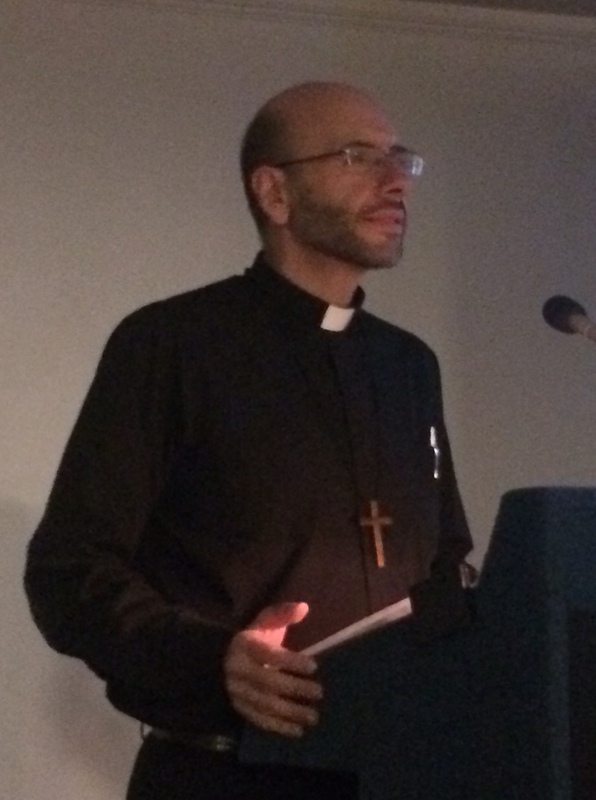 He is also Professor of Liturgical Studies at St. Nersess Armenian Seminary, and Visiting Professor of Liturgical Studies at the University of Notre Dame (South Bend, Indiana). He is an internationally renowned authority on the theology and history of the worship tradition of the Armenian Church and of other eastern churches, and has published widely in this area. Read more about Fr. Daniel’s education, teaching, ministry and publications. For more information contact the Zohrab Center at zohrabcenter@armeniandiocese.org or (212) 686-0710.